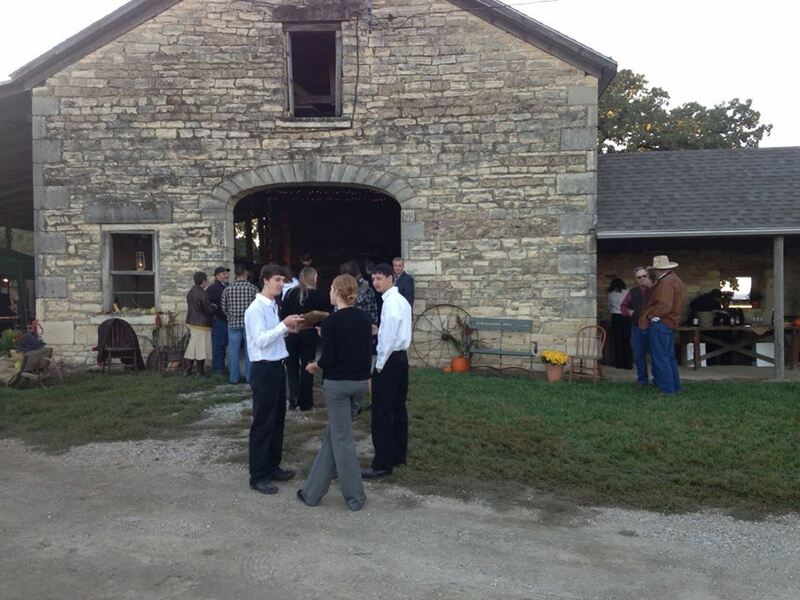 The Feast of the Fields - 2013 Barn Edition event was held on Saturday, October 19, 2013. Mary, Bob, Joe, and staff. Our group of 5 had a wonderful time. Ken and his staff did an outstanding job of planning, prepping, and serving the four course meal. Enjoyed learning of your family farm history, and the daily operations that go on in each segment of the farming business. Having worked for Farm Bureau for over 30 years, we know how important the agri-business is to our local and world economy. My husband and I had the most wonderful time on Saturday. 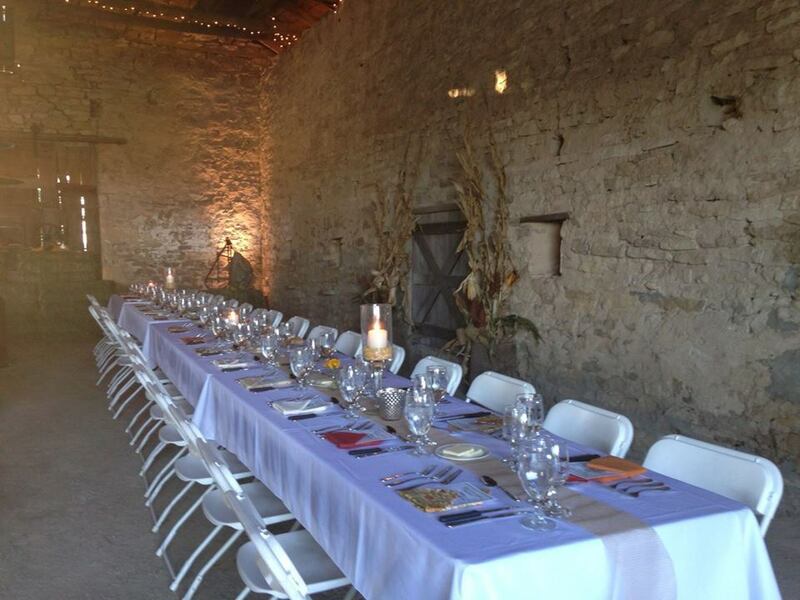 The setting could not have been any more beautiful-it was the perfect mix of elegant, rustic, and authentic. We especially loved the hay bales around the open fire during the reception. The food was unbelievable. Every single course was incredible, as was the wine. The wonderful people in attendance made the experience that much more special. 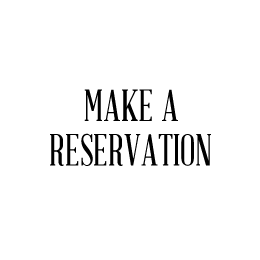 As I’m writing this it’s making me sad, because I realize it’s become rare (especially in our generation) to see people socialize around a dinner table in the way that happened on Saturday. I’m not sure if it’s because of our age that we noticed, but no one at the table was involved with their smart phone or tablets (except maybe to snap a quick photo). They were completely present at the dinner table; enjoying good conversation, great food, and a beautiful autumn night. I wish our world had more of that, and I thank you for an evening in which we were able to experience it. Thank you and Bob for everything. It truly was a wonderful event, and it will definitely be one of our most memorable nights from our time in Kansas. Having hosted a few July 4th events for +50 attendees, I have a slight clue how much work that was invested in this event. The location was beautiful. I absolutely love old architecture in rural settings! Wow the history of that barn! Loved walking up to a fire burning in pit - aroma enticing. The appetizers were great—my fav was butternut squash soup. How fun to visit and make new friends! The classical music was perfect addition, as I am partial to “good” music anytime. Especially with meals, I’ve heard it helps you enjoy and digest food more thoroughly! 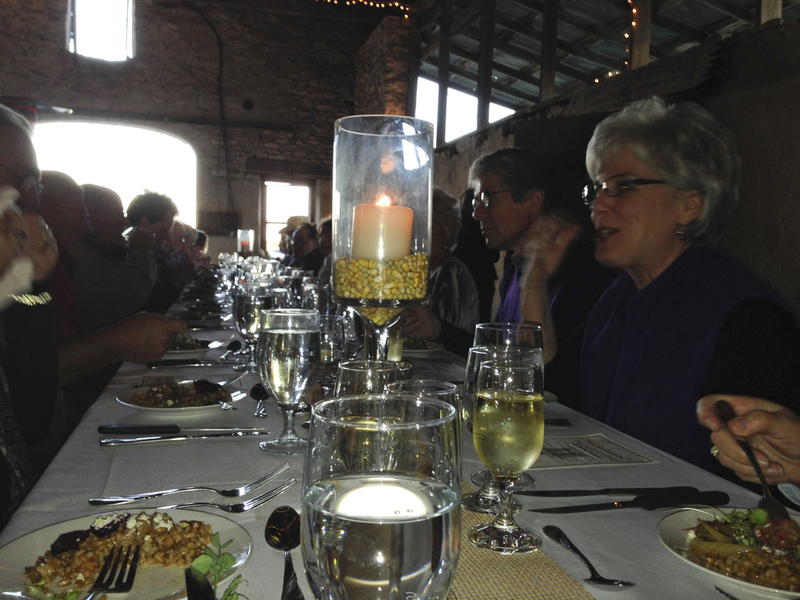 The ambience of barn interior was superb, and being a foodie-type, using cloth napkins, real glassware, and silverware was highly appreciated/enjoyed. Loved having written menu to heighten awareness of what was in each course. Where do I begin? I RELISHED EVERY BITE! SUPERB! Words simply cannot describe experience. I guess being involved in making very good food, this event exceeded my culinary expectations! And the “friends” we sat with (meeting for first time) were most interesting to chat with. Couldn’t have chosen better ones. Walking outside several times, just listening to the decibel of chatter emitting from barn, almost reminded me of a very busy part of the zoo! haha! Sincerely hope I can meet some of them again. I appreciate all that you do for the agriculture scene. 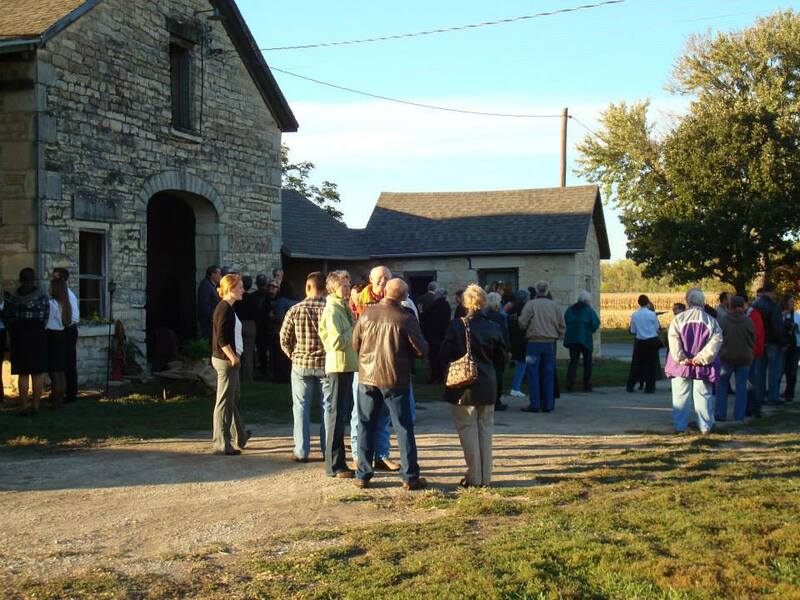 Hearing the history of Mertz farm was very interesting. 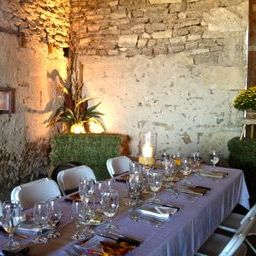 As I mentioned when we spoke after the meal, I am always impressed, as an architect, by the remarkable job you do in turning your beautiful stone barn into a magical place in which to celebrate the fruits of the earth in a gourmet meal that is shared with friends, neighbors and fellow members of the Manhattan community. I think much of this is due to your very subtle and sensitive lighting. 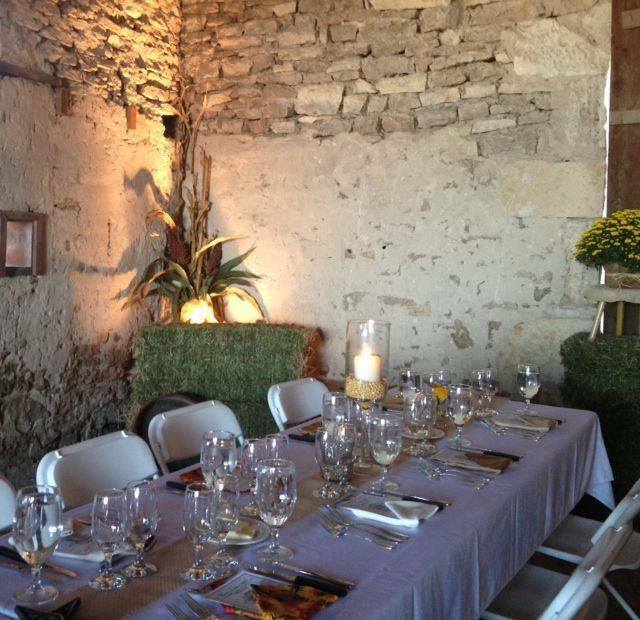 The uplights, which are placed at the corners of the barn, help to define and contain the space while revealing the rugged texture of the stonework. Just enough of the wooden truss work that supports the roof is revealed before these lights disappear into darkness. The small Christmas lights that you string along the underside of the trusses add a touch of sparkle, like stars, to the darkness above, creating a holiday feeling that adds to the magic of the whole scene. 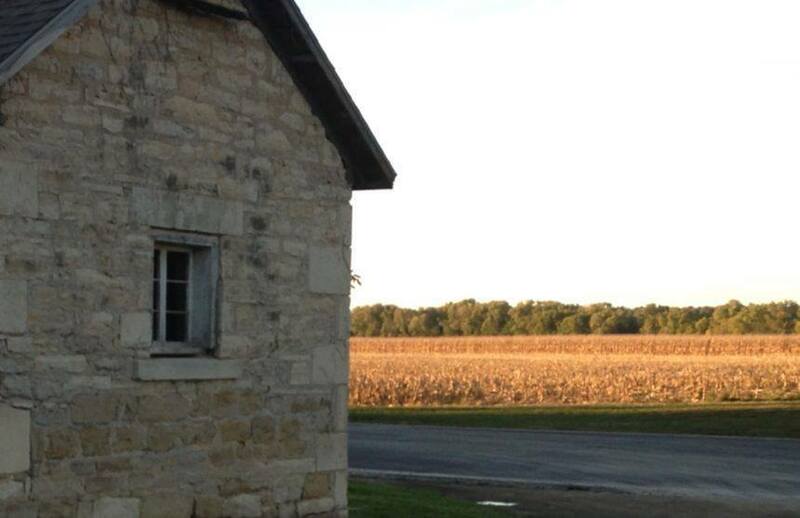 Seen from the fields outside, the old stone barn glows invitingly against the setting sun and darkening sky, promising a place of fellowship and conviviality for all who come to gather inside. Truly, your Feast of the Fields is a world class event that helps to create and sustain a vital local community. First, Chef Ken Baker - Thank you for a brilliant meal! Spot on all the way! It was an honor to work with you. Kansas FFA officers - You were the best and we were lucky to have you helping us! Prairie Fire Winery - Love your Chambourcin. 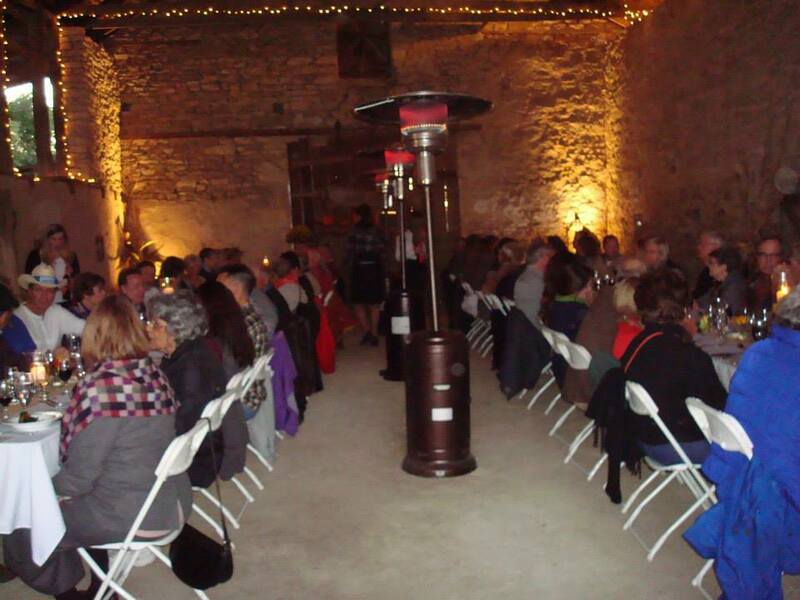 Your reception wines and the Vignoles paired with dessert rocked! 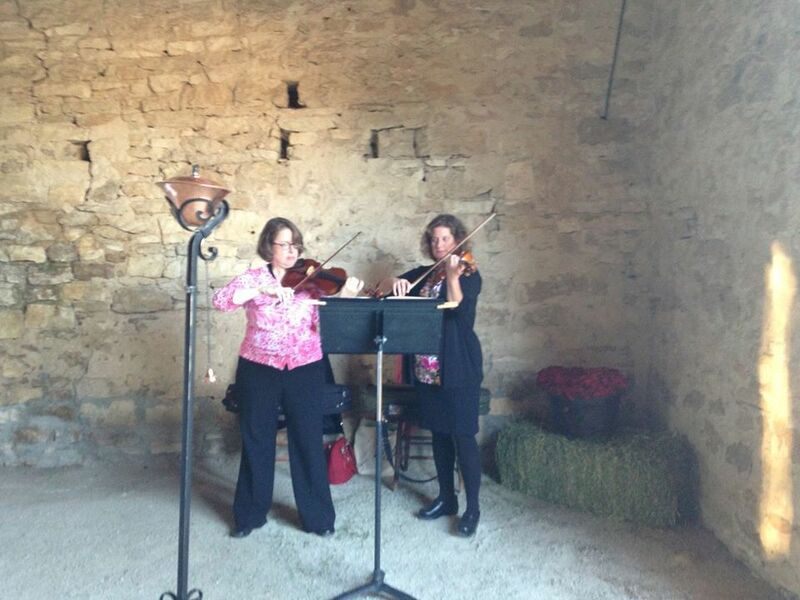 Steve and Susan Maxwell - the Celtic music you provided by way of flute and guitar set a classy yet festive ambiance! 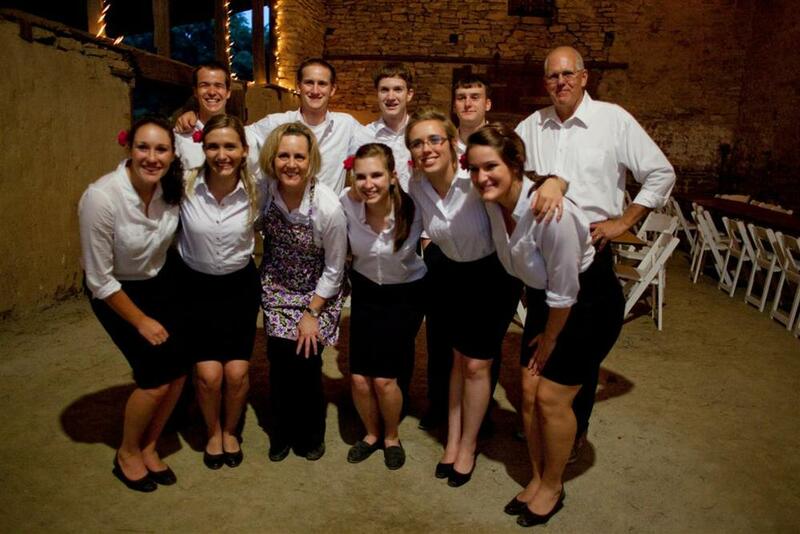 Feast of the Fields is fortunate to work with some very special people and groups. Our event is a collaboration of efforts and we very much appreciate this. We are not a profit making venture. Any proceeds that we raise above expenses are donated to culinary and/or ag related programs. This year, we are happy to provide a donation of funds to the Kansas FFA Leadership Program. These students are remarkable people and we have confidence in them to be a positive influence in our state, country, and world! The current and immediate past Kansas FFA Officers volunteered their service at our June 8th Feast and they were fantastic and enthusiastic! We hope they will consider coming back to the Feast in the Fall.